Jews contributed to the development of the shipyards, which were some of the largest in Russia. Jewish merchants willingly engaged in supplying the Navy because this was very lucrative. From 1813 to 1830, the fleet had 52 suppliers, 30 of whom were Jews. The right to citizenship in Nikolayev was given to Jews by the decree of Catherine the Great on December 23, 1791, when she established the Pale of Jewish Settlements (link to Wikipedia - http://en.wikipedia.org/wiki/Pale_of_Settlement ). At the time they were allowed to engage in trade, crafts and business, but were forbidden to serve in the government, army or navy. The Old Synagogue has never been destroyed. It is one of the few buildings which did not suffer during World War II. Today, however, it is in grave need of repair. In 1829, Nicholas I decreed the expulsion of Jews from Nikolayev. The local authorities, headed by the military governor of Nikolayev Admiral A. Greig, opposed this decree, claiming that the expulsion of the Jews would hurt the development of Nikolayev, especially crafts and shipbuilding. Thus, the expulsion of the Jews was delayed until 1832 and then, again, until 1834. After the eviction of the Jews in 1834, only a few Jewish shipyard workers were allowed to stay in the city. The economy of Nikolayev went into decline. In 1837, the Minister of Internal Affairs, in agreement with the Chief of Naval Staff, proposed to permit parents of Jews in the Naval service to live in Nikolayev, but the Tsar only agreed to make an exception for widowed mothers. With the ascension to the throne of Tsar Alexander II, the government mitigated the restrictive laws imposed in the preceding reign . Thus, in 1859, Alexander II, at the request of the Admiralty in charge of Nikolayev and the Ministry of Finance, allowed the Jews to live in the city. First merchants and industrialists were allowed to return; then in 1860, retired and lower ranked officers, and finally artisans in 1861. Until 1862 Nikolayev was a military port only. In 1862 a commercial port was opened in Nikolayev. By the end of the 19th century the Port of Nikolayev became the third-ranked port, after St. Petersburg and Odessa, based on volume of trade with foreign countries. It became the country’s leader in volume of grain exported from the steppe provinces. After that, Nikolayev became a large industrial center in Southern Ukraine. In 1873 the railway was built to the port. Soviet power was established in Nikolayev in 1918. In 1866, at the request of the military governor of Nikolayev, Admiral BA Glazenapa, the government lifted all restrictions on Jews living in Nikolaev. On March 24, 1866 Jewish burghers were granted permanent residency and settled in the city of Nikolayev. By this law the Jews were free to live and work in Nikolayev, and the local Jewish population grew rapidly. In 1880, according to official figures, there were 8325 Jews living in Nikolaev: 2084 heads of households and 6241 family members and servants. The census in 1897 recorded 20,109 individuals. Nikolayev was regarded as a city, part of a line of Jewish Settlement Despite the fact that Jews lived near the Ukrainians and Russians for decades, they retained their cultural and religious autonomy. Jewish life was defined by family, market and synagogues. The synagogue played a central role in Jewish life, not just as a house of prayer, but also as a place for Jewish community. At the end of the nineteenth-century, Nikolayev operated two synagogues, the Old and the Choral, and 14 houses of worship. By 1910, there were 15 Jewish schools in Nikolayev. The Choral Synagogue was one of the most beautiful buildings in the city: with stone floors, the ground floor had a large hall for prayer, and was illuminated by two rows of large compass windows. The synagogue was decorated with Moorish-style columns. The Choral synagogue was an architectural monument of the second half of the nineteenth century. Funds for the construction of the synagogue were provided by donations from wealthy merchants, businessmen, intellectuals, and from the Jewish poor. Construction began in 1880 and completed in 4 years. On October 31, 1884 the new synagogue was consecrated. This was a landmark event for the Jews of Nikolayev. In March 1885, a solemn ceremony was held for the Aron Kodesh – a Torah scroll was donated by the entrepreneur and philanthropist James Kaminsky. The celebration was attended by the acting military governor, Rear Admiral AF Fedorov. With the permission of city authorities, the synagogue was used for meetings of authorized representatives of the Jewish community to discuss the major problems of the Jewish population of the city of Nikolayev. Often, famous cantors from other cities visited Nikolayev. These cantors enjoyed the same popularity as opera stars. Both Christians and Jews gathered in the synagogue to listen to them. On these occasions, the prayer hall was always packed. Thus, the Choral Synagogue in Nikolayev became the main synagogue of the city and the center of Jewish religious life from 1884 until it closed in 1928. A two-year, state-owned, public Jewish school was established in Nikolaev on the initiative of the Director of Elementary Schools in the province of Kherson. It was under the Ministry of Education and was directly subordinate to the public schools district of Kherson province and Odessa School District trustee. To accommodate the number of students, the school was moved to a city government building on Admiral's Street number 21. Initially, it housed the Jewish Talmud Torah School which closed in 1889. In 1895 a new building was constructed. The school was a two-year school, but the period of study in each grade was 2 years. Students were taught the Hebrew language, Jewish and Biblical history, Russian and German languages, humanities and natural sciences. Particular attention was paid to training "manual labor", for which the school created "woodwork and turning and carving" workshops. On September 27, 1890, college classes began. The school was funded by a special tax levied on Jews in the Russian Empire, known as “boxed collection”. Funds from this source amounted to 90%, the remaining funds came from the city budget and from philanthropists. Education for students was free of charge until 1917. Children from poor families received financial assistance. Non-residents had to pay their own housing expenses. After the pogroms of 1881-82 Jews started emigrating from Russia. Fleeing persecution, hundreds of thousands of Jews, including Jewish farmers of the colonies, went to the United States, Canada, Argentina and other countries. The emigration continued until shortly after the Bolsheviks came to power in Russia, in November, 1917 and banned emigration. In the spring of 1899, a pogrom broke out in Nikolayev. The city-dwelling Jews were unable to defend themselves, but the inhabitants located near Jewish agricultural colonies were able to put up more effective resistance to attacks on their farms. As a result only one colony, Nagartav, suffered substantial damage, the destruction of all the yards and shops. Pogroms in October 1905 occurred throughout the Russian Empire where Jews lived. Some resistance was made by a Zionist self-defense organization in Nikolayev. But many Jewish families lost everything they owned, all the property they had accumulated, everything for which they had worked long and hard. They were left without means of livelihood. In 1919-20, riots again erupted in towns and villages near Nikolayev. According to the Soviet census of 1939, 25,280 Jews lived in Nikolayev. The city was occupied by German forces on August 15, 1941. Most of the Jewish population of Nikolayev did not have time to evacuate. Jews were required to wear a distinctive sign, and subjected to much extortion and harassment. Nikolayev became the center of the "Nikolayev" district in the German-occupied Ukraine. In late August, 1941, the Jews of Nikolayev were ordered to appear with documents and other items at the collection points in the city cemetery. About five thousand people were shot right in the town cemetery. Many Jews were taken out of the city in the following three days. In the ravines between the outlying villages they first selected the people who could provide value, and the rest were then ordered to undress and were shot. During the month of September, 1941, Action Group A, consisting of around eight hundred men, and commanded by SS General Otto Ohlendorf, was operating on the Russian southern front. In the period, 16th to 30th September, in the area around Nikolayev, and including the town of Cherson, they rounded up and massacred 35,782 Soviet citizens, mostly Jews. This was the figure reported to Hitler from the SD office, in a letter dated October 2, 1942. The All-Russian Extraordinary Commission identified and investigated the atrocities of fascist invaders. It found evidence that the Germans "had taken each woman from the hands of the child and the eyes were shot, some children were thrown alive into the ravine with the corpses of the shot." The site of executions was bombed and later the bodies were burned. In 1942 Nikolayev was set up as a labor camp in which Jews were brought from other cities of the Ukraine. This camp was destroyed in late 1942 to early 1943. After the war, Nikolayev Jews began returning to the city. In 1959, 15,800 Jews, 7% of the total population, lived in Nikolayev. In 1962, authorities closed the last synagogue in Nikolayev. In 1970 the Jewish population of the Nikolayev region was 17,978 persons. According to the Soviet census of 1979, 13,000 Jews lived in Nikolayev. Emigration to Israel and the United States, as well as assimilation, led to a reduction in the number of Jews by 1989 to 10,400. The difficult economic situation, uncertain political situation in Ukraine, and the growth of anti-Semitism in the late 1990s and early 2000s led to the mass departure of Jews to Israel, USA, Germany and other countries. According to the Ukrainian population census of 2001, 3263 Jews live in the Nikolayev region: 2853 of them list Russian as their native language; 329 – Ukrainian; 78 - Hebrew. In the 1990s and early 2000s restoration of different forms of Jewish life had begun in Nikolayev. In 1991-93. three synagogues which were closed during the Soviet era were transferred to the Jewish community. In 1991, two issues of the newspaper "Morning" representing the Nikolayev Society of Jewish Culture, were published. In 1993, a number of newspapers were published, including "Igeret" in Russian, edited by D. Lesmana – representing the Betar movement. 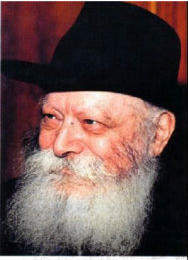 In 2000, Rabbi S. Gottlieb, representing Chabad, established a Jewish religious community in Mykolayiv. In conjunction with the Jewish community, a Jewish religious kindergarten and a Jewish religious school were founded. The Society of Jewish Culture, supervised by M. Goldenberg, and a youth club were also established. In 2001, the Society of Jewish Culture established the People's University (headed by Elsa Schwartzman). In 2004 the Society of Jewish Culture issued a collection of documents and materials "The Jewish population in Nikolayev" (in two volumes). A local charitable organization, Chesed, was created with support from the JDC to aid the Jews of Mykolayiv. This brief Jewish history of Mykolayiv would not have been possible without the help of Yakov Pasik. He granted permission to reference his article at http://www.evkol.nm.ru/, as well as directing me to several Russian language links. I used Google Translate to get the English meaning. These are the Russian language links I referenced: - http://www.familyface.net/article.php?id=183 - http://www.ejwiki.org/wiki/Николаев_-_еврейская_община - http://www.eleven.co.il/article/12975 - http://www.evkol.nm.ru/ - http://www.lechaim.ru/ARHIV/169/VZR/n1.htm - http://history.mk.ua/?p=1177 - http://history.mk.ua/?p=768 - Photos of Choral Synagogue: http://history.mk.ua/?p=1177 These are additional, English language, links I used: - http://ukrainetrek.com/nikolaev-city - http://members.iinet.net.au/~gduncan/massacres_east.html - Photos of Old Synagogue: http://www.nikolaev.travel/115-what-see/164-oldest-synagogue-nikolaev.html - Photos of Old Nikolaev: http://www.jewish.mk.ua/museum/2e01.html I wove the contents of these websites together to create this history of the city of Mykolayiv. To glean the meaning from the Russian-language sites, I ran the text through Google Translate, which uses a word-for-word translation and not all words were translatable. The result was a stilted sentence structure in English and some unintelligible words. With the help of Rex Hemme, my husband, we worked through the translation to create a cohesive, readable article. A note about the name of the city: The name of the city was transliterated at the various websites as Nikolayiv, Nikolaev, Nikolajew etc. In Ukranian, the city is called Mykolayiv. Ukraine became an independent country on July 16, 1990. Thus, references to this city after independence use the Ukranian transliteration. Jews started settling in the Nikolayev area, today called Mykolayiv, as early as 1778. The Novorossiya (New Russia – link: http://en.wikipedia.org/wiki/Novorossiya ) Governor Muromtsev allowed Jews from the former Poland to settle on the lands of modern Mykolayiv with the proviso that every Jew brought with him five Christians. The town, named after Tsar Nicholas the First, was founded in 1788 as a Russian naval base on the bank of the Buh river during the Russian-Turkish war of 1787-1791, after the Russian annexation of Black Sea coast. The shipyard was established by a decree of Prince Grigory Potemkin and the town started to grow around it. The city was named in 1789 in memory of the 1788 victory of the Russian troops over the Turks and the capture of the Turkish fortress Ochakov on the name day of St. Nicholas, the patron saint of sailors. The first large group of Jews, mainly from Galicia, settled in Nikolayev immediately after its founding in 1789. Their main occupations were crafts and trade. The most advanced, traditionally "Jewish" trades were tailoring, cobbling, plumbing, malt, and jewellery. They also worked in vegetable oils, mills, small food processing plants, and printing presses. The Old Synagogue on Karl Liebknecht street 13 is the oldest synagogue in Nikolayev. The building was laid in 1819 in the presence of the Chief Commander of the Black Sea Fleet and Ports Military Governor of Nikolayev and Sevastopol, Admiral A.G. Greig. City researchers suggest that the wife of the admiral was Jewish. The construction of the building was funded by the religious Jewish community. This synagogue was known as the synagogue of shoemakers, since many lived in Nikolayev sewing shoes for the sailors. Later the building was the house of atheists and a medical staff club. The two-story building of the synagogue has a rectangular shape. The walls of the northern and southern sides are cut with row of window and door openings. The southern façade has a complicated system of decorations which is more typical of the architectural structures of 1850-1890 than of the constructions of "Empire" style traditional architecture in the beginning of the 18th century. The teachers at the school included: LS Podolsky, JJ Fialkov, IP Dulcinea, BM Shulman, SJ Groisman, IZ Sidransky, BB Katselenbougen, Sh Reisman and others. On June 15, 1890 VA Irzhevsky was appointed Headmaster of the School. In the period from 1905 to 1915, the school taught between 170 to 230 students. The number of children who wanted to learn exceeded the capacity of the school. For example, a report from 1915 indicated that 85 students were accepted, while 34 candidates were rejected "because of the cramped space". The school was closed in 1920 during the reorganization of the Soviet system of public education. The 1860s and 1870s saw an increase in Jewish population in the city of Nikolayev. By the late 1880s, Jews accounted for 14.27% of the city’s residents. The growth of the urban Jewish community was accompanied by the opening of new houses of worship. By 1879 the city operated the Old Synagogue and 11 Jewish houses of worship. Most of them were small and cramped, often housed in adapted buildings, and therefore could not accommodate all the worshipers who came to worship. This situation gave rise to the idea of building a new synagogue. It was necessary to obtain permission from the Nikolayev military governor for such a construction. In 1880 at the request of parishioners, Admiral N. Arkas, the governor of Nikolayev, allowed construction of a new synagogue at the corner of the Great Sea and the German streets [present- day Faleevskoy street], № 27. The creator of the project and construction manager was the city architect Vladimir Efremovich Andrievsky.